We know Mt. Kailash as ‘Khang Rimpoche’ which means ‘Precious Jewel of Snow’. Mt. Kailash lifetime spiritual tour, at (6,714m/22,028ft) is a magnificent mountain of beauty and grace. It has four great cardinal faces – the northern face represents gold, the western face – ruby, the southern face -sapphire and the eastern face – crystal. This mountain is the centre of four religions and is sacred to millions. Thousands of pilgrims circle this mountain every year but no one attempts to climb this mountain for mythical religious beliefs. Holy Mt. Kailash overland tour is a spiritual ‘Mecca’ of Hindu-Buddhist-Jain and Bon religions. 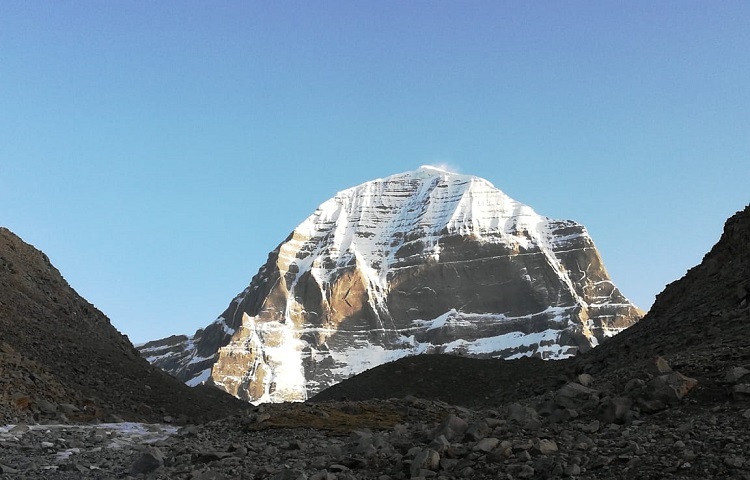 Hindus believe that Mount Kailash is the holy abode of ‘lord Shiva’; however, Jains call it the mountain of ‘Astapada’ and believe it to be the place of Tishaba. Likewise, Bon followers call it the mountain of ‘Tishe’ and believe it is the seat of Sipaimen – ‘Sky Goddess’. The Mt. 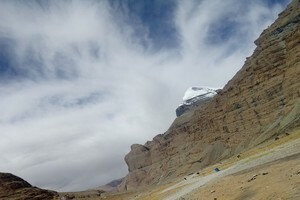 Kailash Mansarovar overland Tour takes place via different routes of Nepal, Tibet and India. The easy route to Mt. Kailash is from Kodari border but sadly, it did not open after the devastating earthquake in 2015. 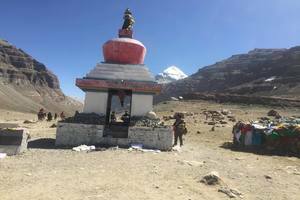 The new Kailash tour via the Kerung border is now the new optional route to reach the sacred mountain. However, this will only open to visitors in 2018. Kerung, at (2900m) is a pretty town with lovely climates throughout the year. Locals call it the valley of Happiness. This is an exclusive town in Tibet where plenty of green vegetables grow! 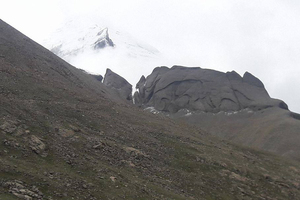 Our Kailash Mansarovar tour via Kerung is a convenient route that takes only about two weeks to complete. 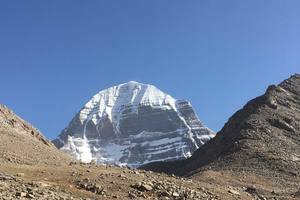 Leaf Holidays Kailash Mansarovar tour package offers you a brief exploration of the cultural and religious landmarks of Tibet. An optional service by helicopter package for 2018 also operates for those with physical disadvantages or aged pilgrims. But this will be quite expensive. A clear color scanned copy of your passport along with 25% Advance payment. This must be provided to us at least 30 Days in advance. Any regular medicines that you take. Enough Clothing for the whole yatra. A small Bag for day use. Toiletries kit like soap, Shampoo, toothbrush, towels etc. Please Note: The best season to do the Holy Mt. 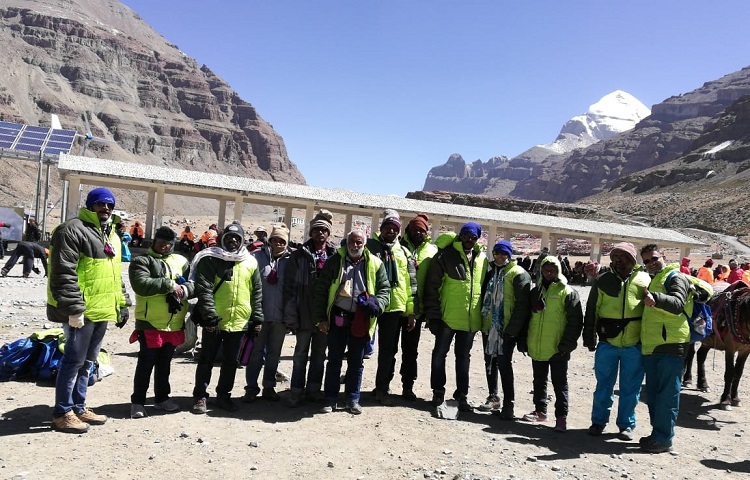 Kailash tour is from May to October; it is always wise to travel with a local and direct agent and small groups – private departure dates are available with Leaf Holidays. All travelers including Indian passport holders travelling to Mt. Kailash must be in possession of a current passport with at least 6 months of validity remaining. Day 03: Kathmandu to Kerung (2900 Meters-175 Km, 08-09 Hours Drive). Day 04: Kerung-Free Day for Acclimatization. Day 10: End Kailash Kora. Drive back to Dongba/Saga. Day 11: Drive Back to Kerung. Arrival at Tribhuvan International Airport in Kathmandu Nepal, Leaf Holidays Trek Pvt. Ltd’s representative will be on standby at the airport to welcome you and transfer you to the hotel. Check into your hotel, refresh and in the evening you will be given a short briefing about your tour. Your Dinner will be at the Hotel with an overnight stay in Kathmandu. After Breakfast in Kerung we set out on our journey for Saga/Dongba. We will provide packed lunch boxes in between. 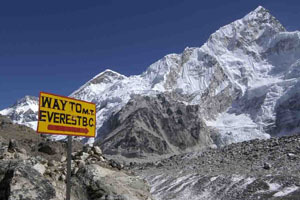 We will go through the wonderful Lalungla Pass at (16000 Ft), Paigu-tso Lake and the mighty Brahmaputra River. We will do our overnight stay at a Guest House in Saga or Dongba. After Breakfast we drive to the sacred Mansarovar Lake. Today is a very special day because you are going to do Darshan of the Holy Mt. 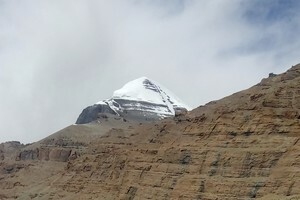 Kailash and Manasarovar Lake. 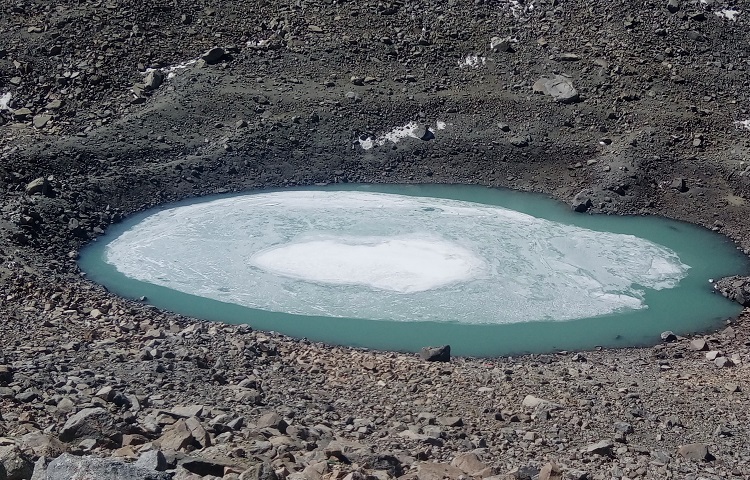 We drive through Mayum la pass (17000Ft); we will provide you packed lunch boxes in between. You will do a parikrama of Manasarovar Lake by bus. We stay overnight at a Guest House in Mansarovar. Today we will wake up very early in the morning and have breakfast then we will start our trek. This is the hardest day but Holiest day too of your pilgrimage trip with Drolma-La pass at 18600 Ft between two valleys. After Breakfast at our Hotel, we will check out and Leaf holidays Trek Pvt. Ltd’s representative will take you to the Tribhuvan International Airport for your final departure. We are happy to have been given the opportunity to serve you our respected guests from India. We are happy to see you all blessed after a sacred holy tour of Mt. Kailash and we will always be ready and happy to serve our pilgrim guests from the great country of India in the years ahead. We wish you all a safe journey home!!! Transportation : Jeep, Van or Mini bus.